Over the next several weeks, I'm going to be posting a few times a week summaries of chapters from books I've read over the past few years. 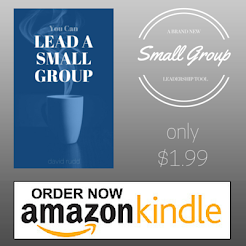 These are the books that have really informed my thinking on discipleship and small groups. Hopefully, they'll provide a good opportunity for you to think through some of these same thoughts. Today, I'm looking at chapter one of Joe Myer's book Search to Belong. Connections are important. Particularly, connections among believers are crucial for living out the life and mission Jesus designed for us. Pastor Randy Frazee wrote in his book, The Connecting Church, "The development of meaningful relationships where every member carries a significant sense of belonging is central to what it means to be the church."